Born and raised in the DFW area, Trish is a true Texan, through and through. Her love for Texas is only rivaled by her passion and enthusiasm for creating and sustaining relationships throughout her real estate career. She is driven by her commitment to her clients and team, before, during and long after each home is bought and sold. Trish has years of professional experience across industries including hospitality, entertainment, event coordination, and property management. This experience gratefully led her to the ongoing love affair she has with real estate. Trish has a dedication to the community, as well, and calls the East Dallas area home. 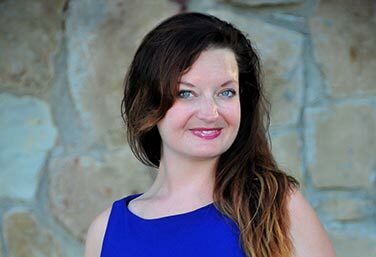 She is the current President of the Park Cities Master Networks Chapter, and is involved in several local networking groups, including East Dallas Networking and East Dallas Young Professionals. She also resides on the neighborhood board of Alger Park | Ash Creek as the Events Coordinator.Experiences gained through her career include numerous awards and accolades including Rookie of the Year, Top 10% of the Market Center, Agent Leadership Council and many more. While Trish is driven in all aspects of her life, she finds her bliss in meeting and engaging with friends and family, singing, and travel.When contemplating which REALTOR will combine passion with purpose, and has the confidence and integrity needed to help clients sell, buy, or invest in real estate, look no further than your REALTOR®, Trish Moore. Todd Maley is a native Texan, born and raised near Corpus Christi, Texas. A man of the true south who is a progressive thinker in ideals and goals, and a well-mannered gentleman in terms of service and hospitality. Todd studied Marketing and Merchandising at the Fashion Institute of Technology in Manhattan. From his country boy roots to his big city finesse, Todd brings experience from both the retail and management worlds into his real estate career. He resides currently in Garland, TX and is involved in several charities such as DIFFA and the Dallas Military Ball. Todd’s attention to detail in staging and home design make him a qualified professional when it comes to “move- in” and “move- out” ready homes. In Todd’s first year in the real estate industry he has outperformed many in his market center, contributing to the top 20% of the office, receiving recognition and accolades from the Brokerage. When contemplating which REALTOR can set you up for success when it comes to buying your home and creating the perfect space, to selling your home with dignity and grace, look no further than Todd Maley of M Realty Group. Kevin Matthews is passionate about Real Estate and helping clients with their Real Estate needs. Originally from North Carolina, Kevin now resides in McKinney, TX where he loves his Texas surroundings. Kevin and his husband Jeff adopted their son Noah in September of 2016. Today, he spends most of his free time chasing the little guy around and loving life as a dad. Kevin prides himself in taking clients and leading them through every step of the real estate transaction. He puts in the hours it takes to market and sell your home and/or find you the perfect new home. As an agent, he is always available either by phone or text when you need him and will stay in constant communication with you. 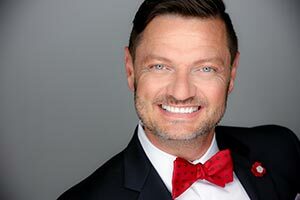 Kevin has obtained the designation CHMS or Certified Home Marketing Specialist and is able to provide clients with valuable staging tips to sell their homes quickly and for the most money. As every client Real Estate needs are different, Kevin believes in tailoring his approach to fit each person needs. Kevin is approachable and easy to communicate with and treats every client as a friend.